Bali has distinctive culture which can leave you in awe once you visit the place. Amongst all attraction in Bali, temple is one must-visited places to go. There are several Hindu temples in Bali used for praying as well as tourism. People visit temples not only to pray but also admire and appreciate various points such as the architecture and the history behind. Visiting a temple during your holiday in Bali can be a therapeutic activity to do. It can bring you more peace and serenity because most temples are nestled in the middle of nature or nearby beaches. Pura Gunung Kawi – This temple is nestled in ravine between rice fields. This is also famous as Valley of the Kings. There are shrines featured into the stone honoring kings and queens flanking the river by the cliff. It is believed that the water flows from the river is holy. This looks more like tomb of the royalty honored where they had been cremated according to Balinese custom. The peaceful environment surrounding this place will allow you to relax and ease your mind. Goa Gajah – The name related to the Elephant River nearby the temple. There is no direct link to elephant whatsoever. However, this is one of the most temples in Bali that most visitors choose to visit. The temple is located inside the cave. In the interior of the cave, there is a statue of the Hindu god Ganesha. There is also worship area devoted to Shiva. The entrance of the cave is surrounded by carved rocks which makes it look more unique and attractive. Pura Tanah Lot – This one is a must to visit. 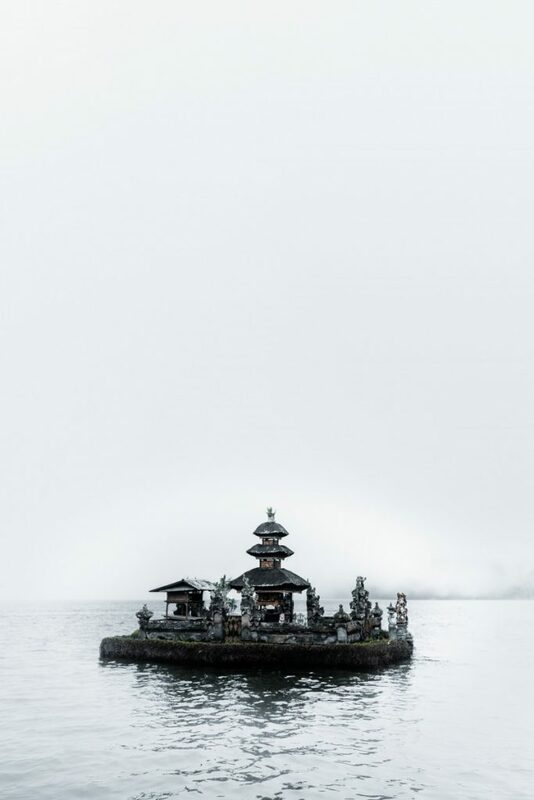 The temple stands on a rock within some distance from the shore. You can visit the temple during low tide. Or, you can also admire the temple from afar. It is considered as one of Bali’s most important temples. It had been through restoration effort in 1990s. Pura Luhur Uluwatu – this is not ordinary temple because one of six major Balinese temples. This is also a site where Kecak performance held. This is where you can watch the performance of masked actors and fire dancers reenacting the Ramayana. The temple stands on a cliff at 200 feet above the sea level. When you visit the temple, you can see the full view of stunning ocean. You will experience the feel of the waves crashing the base of the cliffs below. Visit this temple to enjoy sunset then at night, you can watch the Kecak performance.